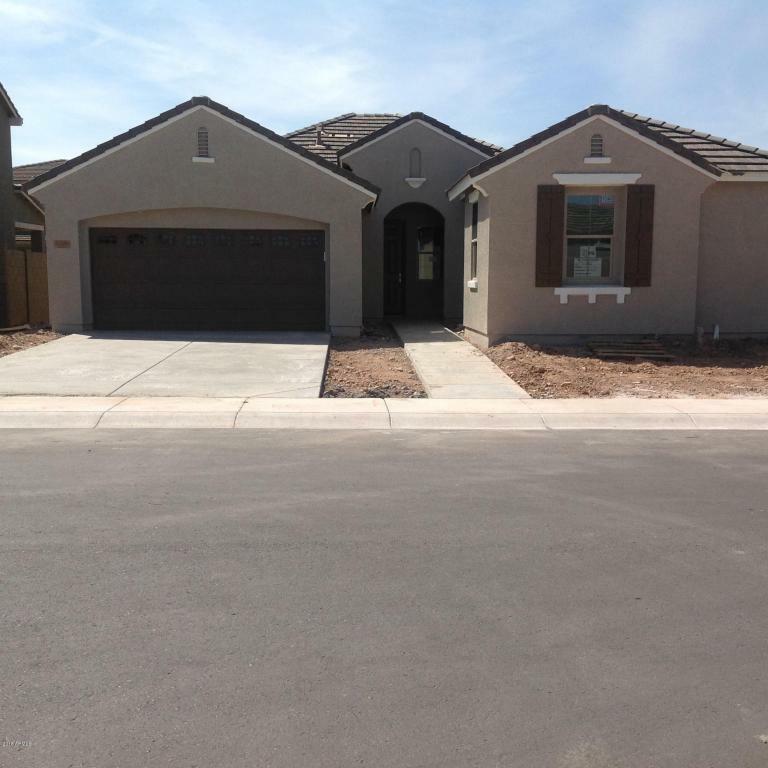 Put your buyer in the premier location in Mesa! Beautiful, gated, secluded, yet easy access to the Red Mountain 202 Loop and the rest of the valley. Playgrounds, basketball, volleyball, walking paths and large grassy common areas provide outdoor fun for everyone. If your buyer is looking to get in a home sooner than a 5 to 6 month build time, then look no further, this is the home! Gorgeous upgraded 42'' white Maple cabinets, upgraded electrical, soft water loop and more! Best of all, your buyer can further personalize this home by selecting the kitchen counter, all flooring and appliances. Granite is standard in the kitchen and stainless appliances are also standard! Split Master Suite and a very livable, comfortable great room plan. Hurry, don't let your buyer miss this one!